Facebook Shakes Up News Feed, But We Still Don't Know Exactly How It Works : All Tech Considered It will now prioritize posts from friends and family — potentially bad news for media companies relying on Facebook for traffic. The company has been under pressure to defend its political neutrality. "Friends and family come first." Next come sweeping approaches, such as Facebook is "a platform for all ideas" (a nod to the recent controversy over whether conservative-leaning stories get equal placement in the "Trending Topics" feature) and "authentic communication" (as in, "genuine" stories take precedence over "misleading, sensational and spammy" stories). 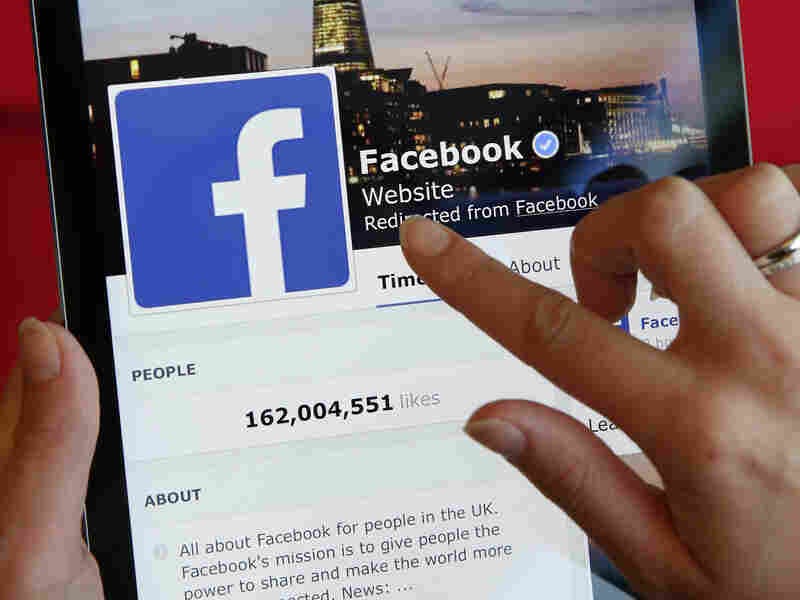 "Human beings don't cherry pick individual stories for your News Feed, but human beings do write the algorithms that determine what you see, explained Facebook VP Adam Mosseri, who oversees the News Feed product teams.
" 'I don't want us to talk about the algorithm as this third party,' Mosseri said. 'I want to really own the responsibility as a team and want people to understand there's a team [of Facebook employees] behind the experience.' "
This week's news is also part of an ongoing effort by Facebook to defend itself as a neutral party both politically and as a business model, which has been increasingly compared to that of a traditional media company. The shake-up in news feed prioritization is particularly alarming to digital publishers, who have been looking to Facebook and other social media as a new venue for readership. The company's latest push has been for live broadcasts: Facebook pays leading news organizations, including NPR, to produce live video streams that run on its site. As Slate concludes, "for publishers, the upshot is likely to be slightly more emphasis on content that lends itself to being actively shared by Facebook users, rather than simply consumed."